Portis was created to tackle issues like usability and user onboarding in DApps, but one issue has remained the biggest challenge since day one: gas fees. The crux of the problem is that you’re asking your users to overcommit to your application before they even had a chance to carry out one meaningful interaction with it. In previous iterations of Portis, we circumvented this issue by gifting each new user $1 of ETH, requiring them to do some basic KYC (phone validation) to prevent abuse. Obviously, this solution does not scale well. Our team has been following the chatter in the ecosystem for quite some time, researching the various ideas to tackle this interesting challenge in groups such as MetaCartel, which have played a pivotal role in promoting discussion and experimentation in all things related to meta transactions. The principle of meta transactions is that the user signs a transaction and passes it to a relay. That relay then pays the gas fees (sponsored by the DApp owner) and submits it to the blockchain. And then, a couple of weeks ago at ETHDenver, TabooKey’s Yoav Weiss explained and demoed the Gas Stations Network on stage. It was an elegant solution to the gas relay problem and it simply blew us away. We immediately joined forces with TabooKey and were quick to integrate their solution into the Portis SDK. A few days ago, at ETHCC in Paris, Yoav demonstrated the Gas Stations Network in action, using our very own CryptoPuppers DApp! Unlike most gasless/MetaTx implementations, which depend either on centralized relayers or face serious synchronization issues, TabooKey’s Gas Station Network offers a trustless, secure and decentralized solution, which remains true to the open ethos of the ecosystem. We have no doubt that the Gas Stations Network will become a core piece of the ecosystem. During our conversations at ETH Denver, it was clear that we both share the same vision of bringing DApps to the mainstream and we’re excited to embark on this mutual path together. We’re honored to be a part of the Gas Stations Network Alliance, a group of organizations united in leveraging meta transactions to provide customers with magical user experiences. Ready to add meta transactions to your DApp and remove the last barrier of friction for your users? Check out our docs and in a few simple steps, you too can sponsor gas fees for your users, making sure that they can use your DApp straight away. Currently, the Gas Stations Network only work on the Ropsten and xDai networks, but mainnet support is coming soon, once all security audits of the smart contracts have been completed. We’re excited about the immense potential of this network and the number of mainstream users it could help onboard. At the same time, we’re concerned about griefing, in the form of numerous meaningless transactions carried out by malicious users, aimed at depleting a DApp’s “gas fund”. The Gas Stations Network protocol tackles this challenge with the accept_relayed_call contract function, that should be implemented by each smart contract that uses it. If you think about meta transactions as collect calls, this method lets the relayer know if your contract would accept the user’s call (i.e. pay for it). In a future version of Portis, we will allow users to share their “reputation score” with DApps, so they can make an informed decision. Honest users will enjoy the seamless user experience of a gas sponsored, Portis-powered DApp while dishonest users are kept at bay. 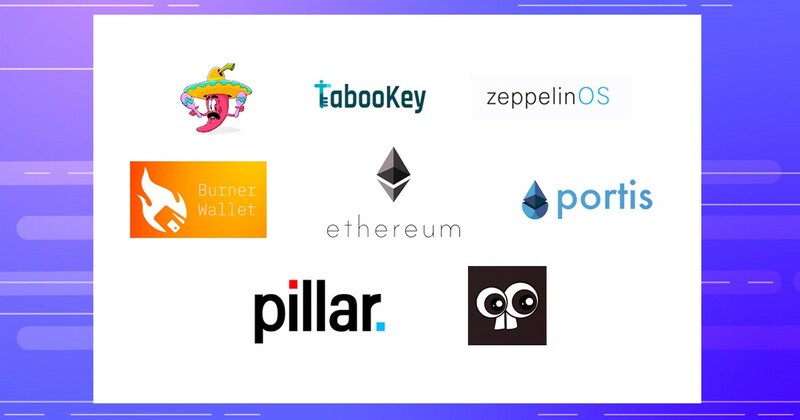 We want to thank the TabooKey team for providing this open source gift to the Ethereum community, and we can’t wait to see the types of DApps that will be created once gas fees are no longer an issue for users! Have any questions? Join the conversation on our Telegram and Twitter. Ready to #BUIDL? Head on to our docs.